June 2017 – NWC-Sports.com | The Official Site of the Northwest Conference for nwc news, nwc scores and more. Bluffton and Columbus Grove tied for the Northwest Conference 2016-17 “Don Bachman Award of Excellence”. The tie puts both schools at the top of the conference standings for the third time each. This award recognizes the school in the conference that exhibits the highest level of consistent excellence in conference-sponsored sports and scholastic bowl competition each school year. Both the Pirates and the Bulldogs compiled a total of 75.0 points with Lincolnview (65.5) and Spencerville (65.5) finishing tied for third. Points are awarded and accumulated each year based on conference standings in all sports and the NWC scholastic bowl competition. This year Bluffton earned three outright NWC titles in Boys Soccer, Girls Soccer and Boys Track. Columbus Grove also earned three outright NWC titles in Girls Cross Country, Girls Basketball and Girls Track. In addition to the conference championships, the Bulldogs had second place finishes in Volleyball and Boys Track. Bluffton also had a second place finish in Girls Basketball. 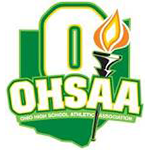 The NWC was represented by 2 athletes on the 2017 Ohio High School Baseball Coaches Association All-State Teams. The NWC was represented by 4 athletes on the Ohio High School Fastpitch Softball Coaches Association All-State Teams.